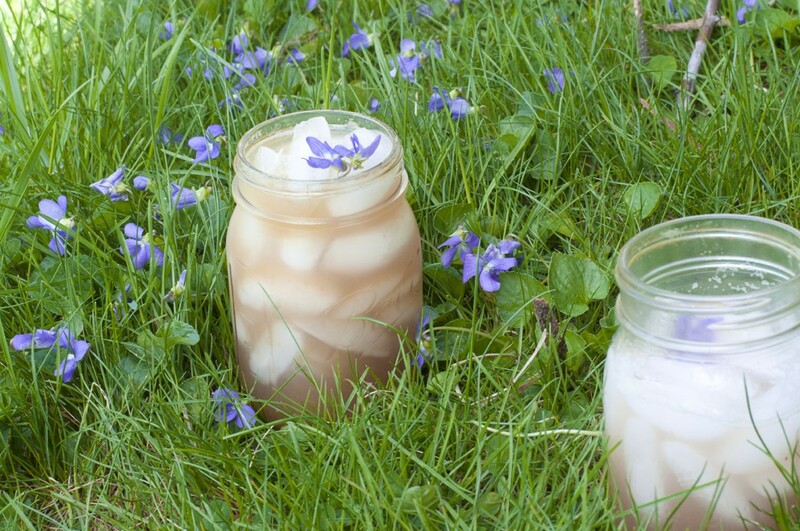 What could be springier than a rhubarb cocktail, sipped in the grass? I don't often feature recipes that require special equipment, but I recently acquired a juicer. I'd given it to my mom for Christmas, but she gave it back — she's perfectly happy with her smoothie bullet, thank you very much. And last weekend, I picked up some beautiful rhubarb and greenhouse cucumbers at 4 Corners Farm in Newbury. I had grand plans of making tiny rhubarb galettes, which I'd eat for breakfast, lunch and dinner for the rest of the week. Tart rhubarb pie is one of my most highly anticipated spring joys. But the motivation to make pie crust eluded me. Plus, this shiny new machine was staring me down from inside its box on the kitchen floor. So I juiced the rhubarb with a cucumber, which made enough juice for two or three cocktails. A pour of Honeycrisp ice cider from Champlain Orchards sweetened the deal, while a shot of barrel-aged gin from Stonecutter Spirits (which nabbed a double-gold medal at the San Francisco World Spirits Competition in April) gave it a boozy kick. The gin's herby botanicals add an extra layer of fab to this drink, but really, any well-made gin (perhaps Caledonia Spirits' just-released Tom Cat gin, aged in Vermont-oak barrels) or whatever you've got in your cabinet will do. And, please, take this drink outside — it's basically spring in a glass. Juice the produce first and allow to settle. Pour ice cider, gin and maple syrup into a large glass and stir thoroughly. Fill glass with ice, stir again, and add juice until the liquid is about 1 inch from the top. Agitate with a spoon to mix the juice and booze slightly, then top off with club soda. Float Bonal on top and spritz with bitters. Garnish with fresh flowers or herbs or orange peel.